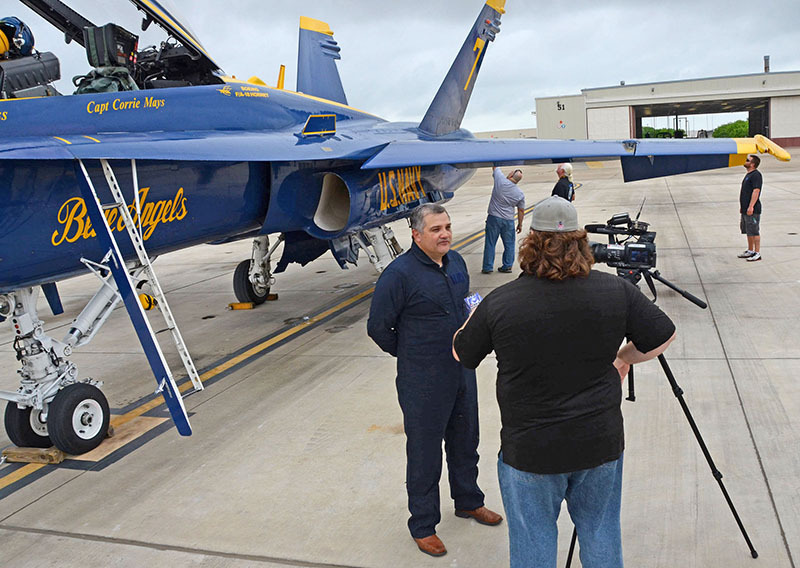 Del Mar College President and CEO Mark Escamilla is dedicated to empowering students to succeed in every aspect of their educational experience. 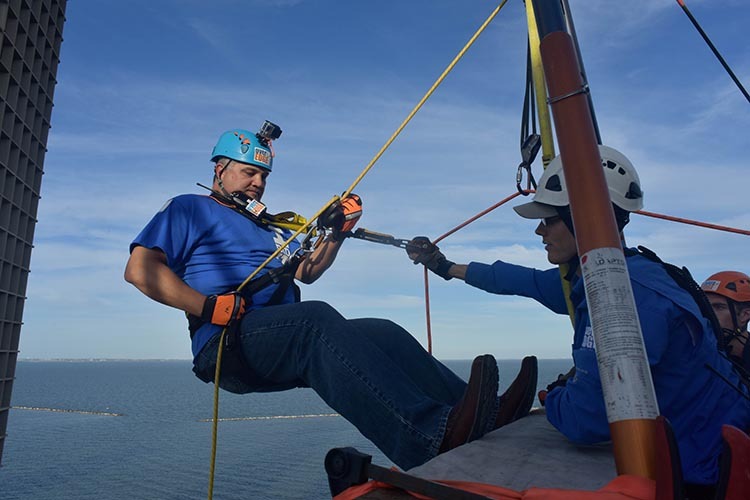 His commitment to students has taken him from rappelling down a 20-story building and fishing in his beloved Laguna Madre to raise scholarship funds to walking the halls of the Texas Capitol and encouraging state legislators to enact laws that support the College. 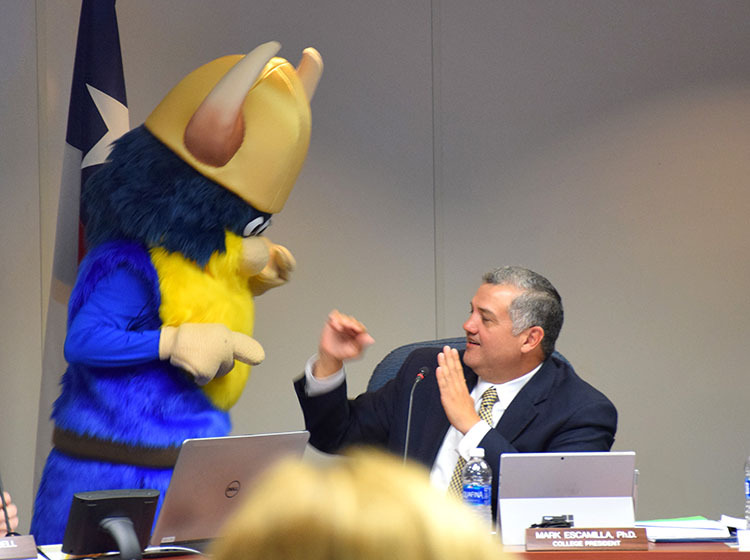 As he enters his 10th year as President, Dr. Escamilla values all learners equally, whether earning a high school equivalency certificate, a workforce certification or an associate’s degree. The College is using $300 million in voter-approved bonds to construct new classrooms, labs, upgrade facilities and plan the new Southside campus. The College’s enrollment growth is third largest in the state and includes Dual Credit high school students from 31 regional school districts. The College’s accreditation has been reaffirmed unconditionally following a thorough analysis of instructional programs and college operations. Major upgrades in campus security protocols and classroom support technology provide a safe and effective learning environment. The Del Mar College Foundation assets grew to $21 million, primarily for student scholarships. Legislative efforts expanded training capacity for high-paying technical and industrial careers. 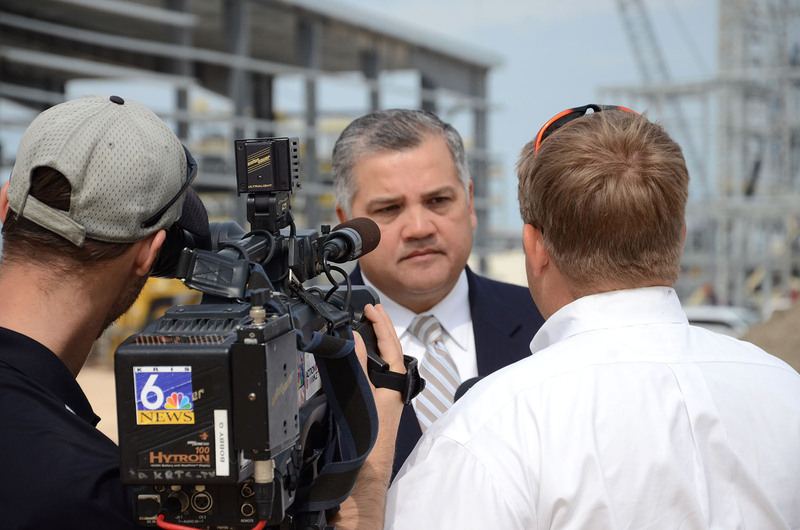 The College partners to train employees for most of the new and existing Coastal Bend industries representing $50 billion in new regional investments. Enrollment growth, community partnerships, innovative fundraising and legislative advocacy all support continued student access and success. Page last updated May 10, 2018.